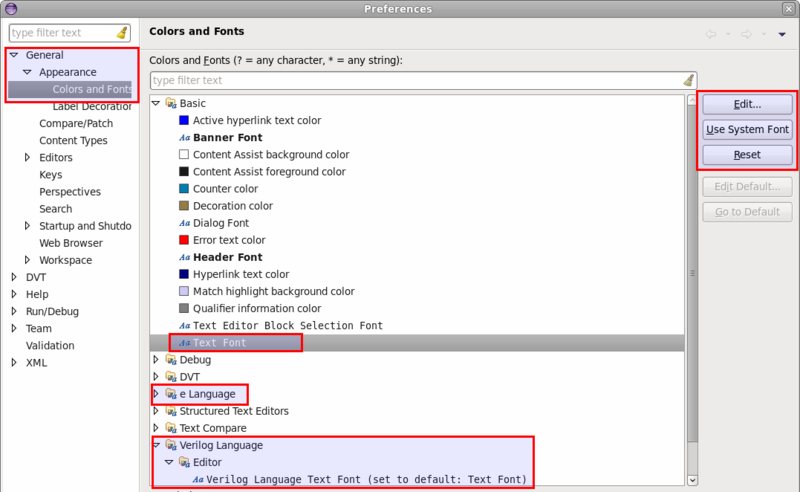 42.55 How to modify the font size in the code editors? > How to modify the font size in the code editors? You can can also modify the font settings from Window > Preference > General > Appearance > Colors and Fonts. For global settings (used by all editors), select Basic > Text Font and for editor specific settings, select (e , Verilog, VHDL) Language > Editor > Text Font.